Depending on the type of business you run there may be times when your customers come into the office or store and wish to pay cash. RMI ADVANTAGE makes it easy to quickly record the cash payment against the Customer Card, Order, or Posted Invoice. The Cash Payment Window will even tell you the correct change to provide the customer with. 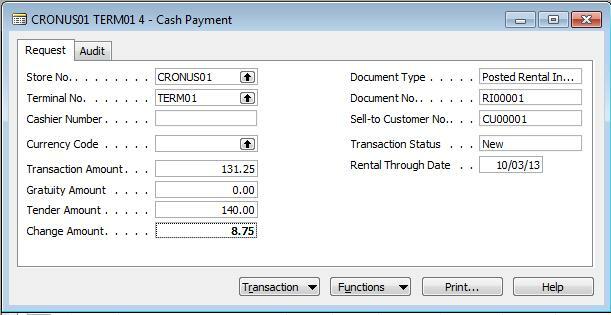 The example below shows the cash payment being recorded against a Posted Rental Invoice. Hit the Enter key twice to generate the Store and Terminal No. Submitting the Cash Payment will auto-create a payment entry in the corresponding Cash Receipts Journal. RMI’s “Did You Know” communications provide customers with quick tips for better utilization of their ADVANTAGE solution. Why is Mobility important to your business? ← Did you know you can create budgets in ADVANTAGE?